SynQuest Labs. specializes in organo-fluorine chemistry with more than 3,000 items offered through its Research Chemicals Catalog. We have a large number of novel fluorinated building-blocks, gases, monomers, biochemicals and intermediates. If you don’t find what you need in our comprehensive catalog, then we also offer custom synthesis services. Our laboratory/pilot manufacturing facility in Florida is currently being expanded to double our capacity. 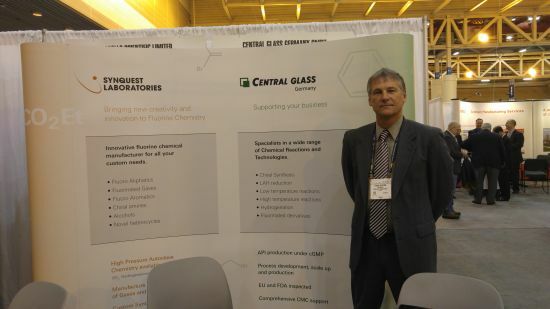 Through our affiliation with Central Glass Co. (Japan) we can offer pilot through full commercial scale production. For all your Fluorochemical needs – call SynQuest Laboratories, Inc.